Every woman needs a go-to black bag in her collection, and the versatile design of the Alana Prima Shell makes her the ideal choice. 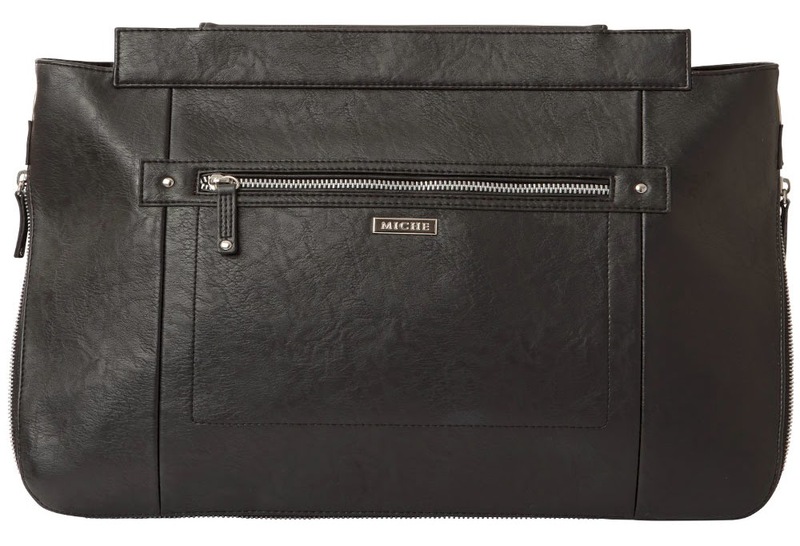 Soft jet- black faux leather features a chic wrap-around zipper, allowing you to expand the bottom for extra storage space or just to enjoy a different silhouette. A roomy zippered front pocket, back wall pocket and rivet accents complete the look. Silver hardware.